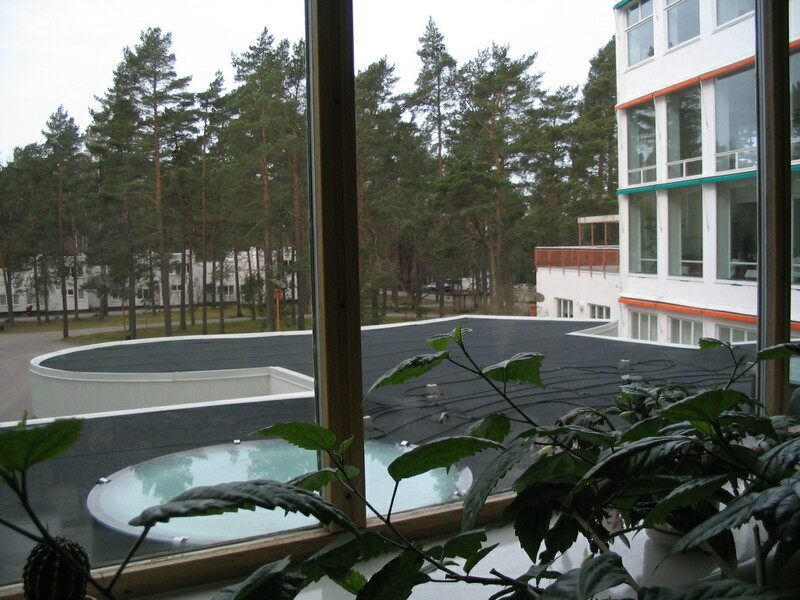 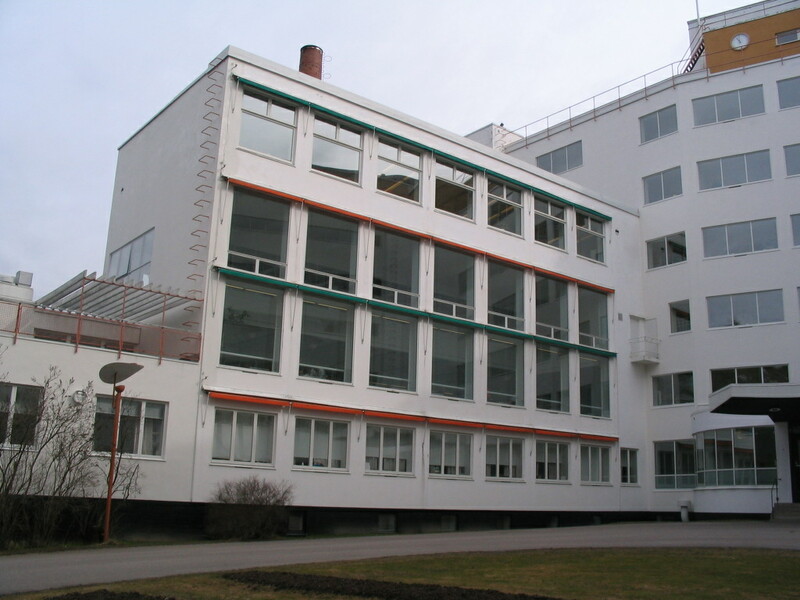 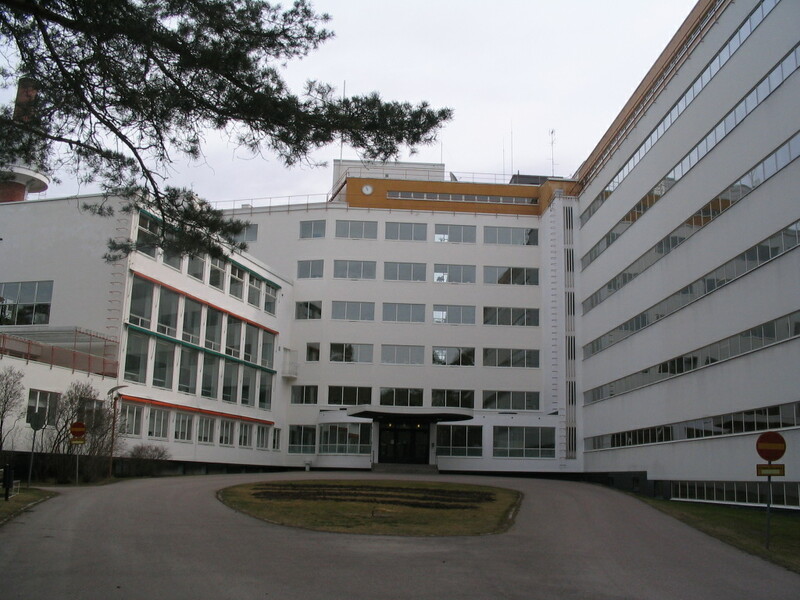 Our first stop was the Paimio Sanatorium, one of Aalto's early and quite well-known projects; it was a tuberculosis sanatorium, sited purposely out in the wilderness, and it was completed in 1932. 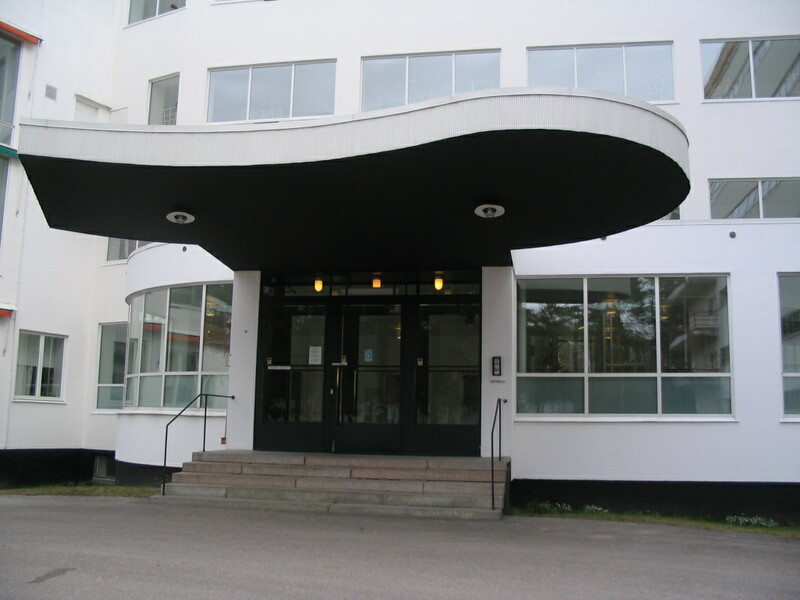 Toward the front entrance, the spreading wings in view to each side. 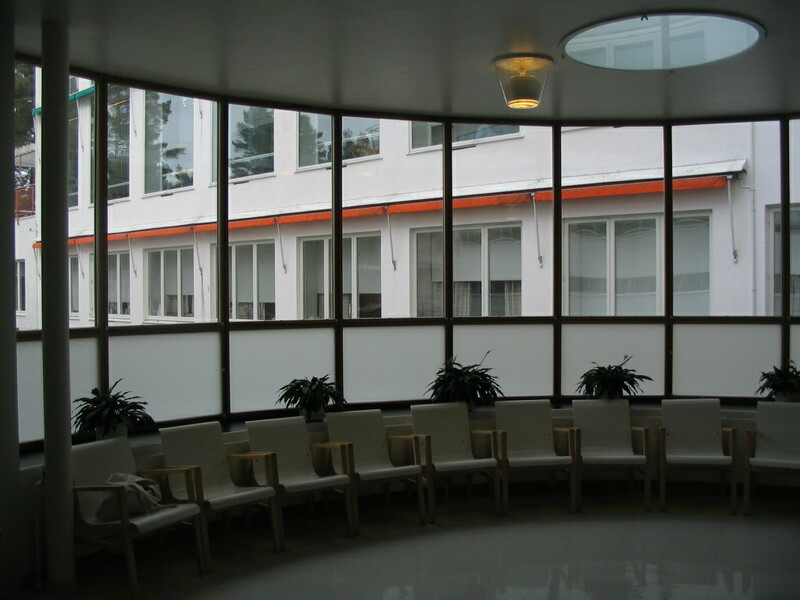 A waiting area in front. 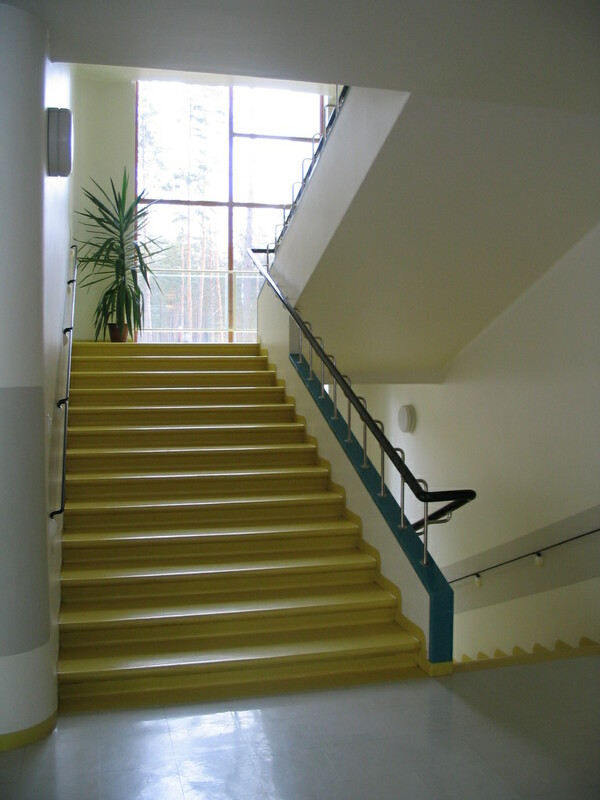 The generous stairwell, with its cheerful hues. 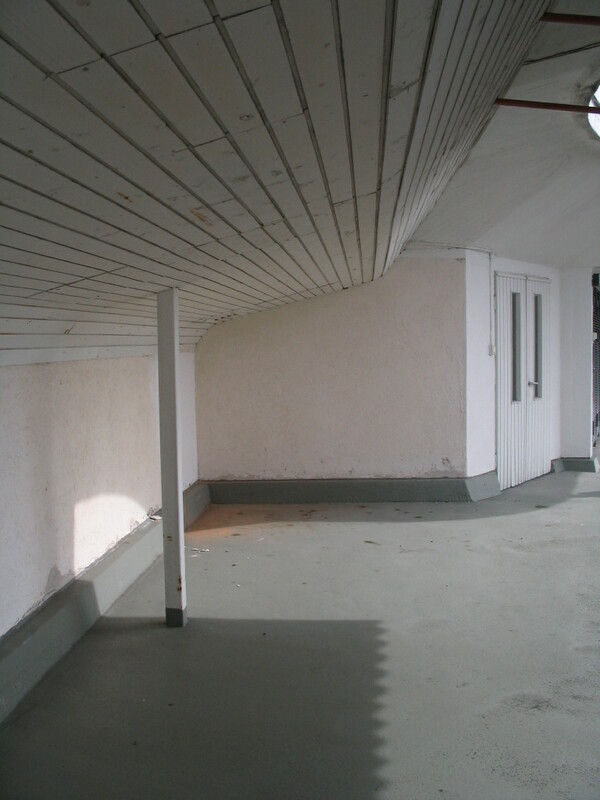 Inside view of the front canopy. 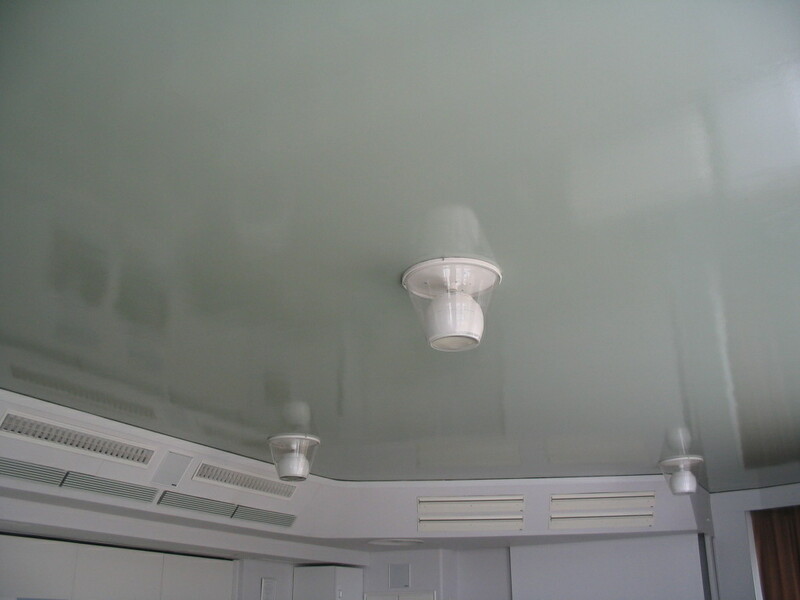 I think the lights were designed as such for ease of cleaning. 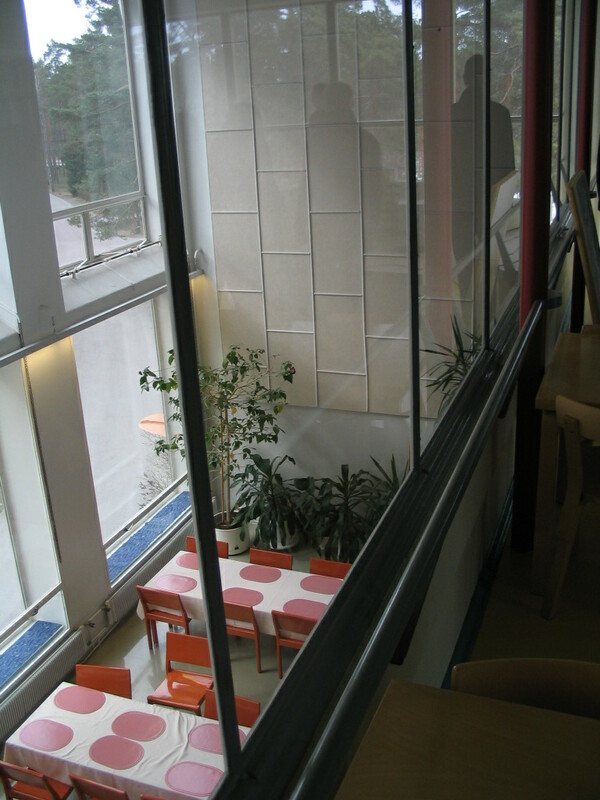 A view down into the cafeteria from the library. 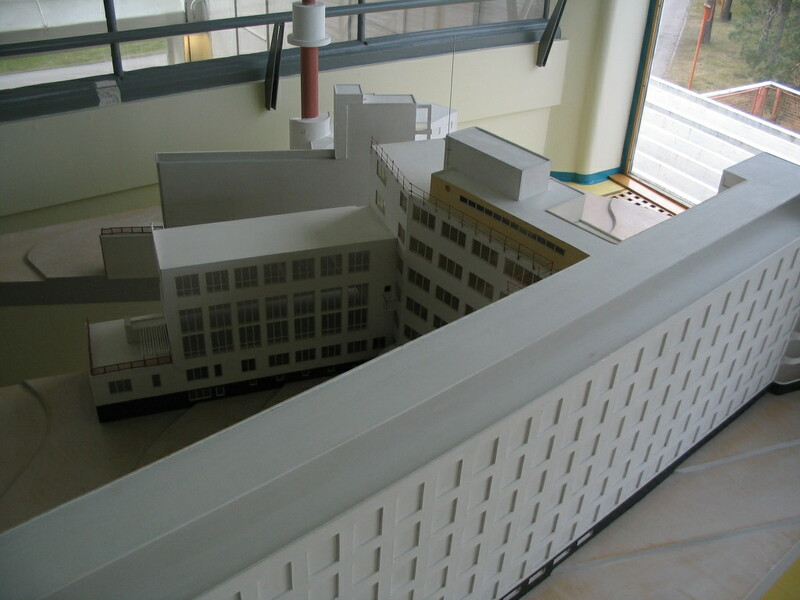 A scale model of the whole sanatorium that resides in the library. 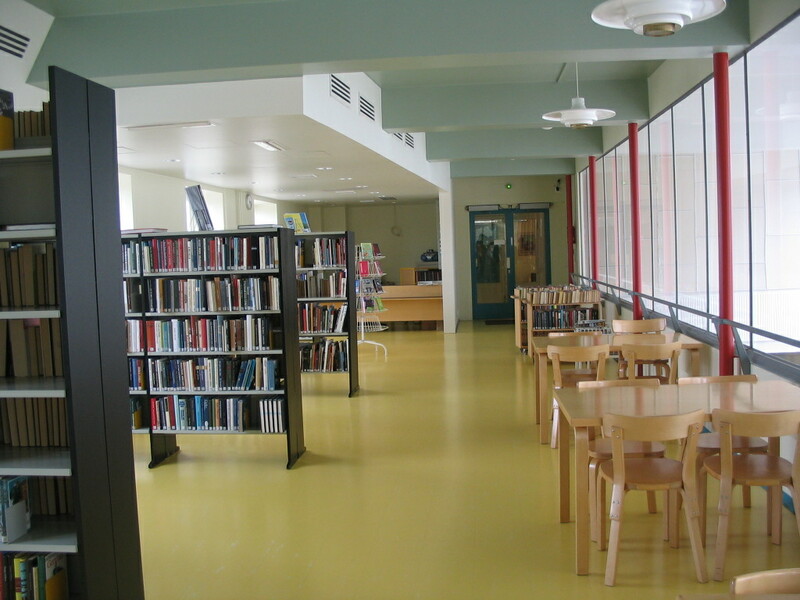 Wider view of the library. 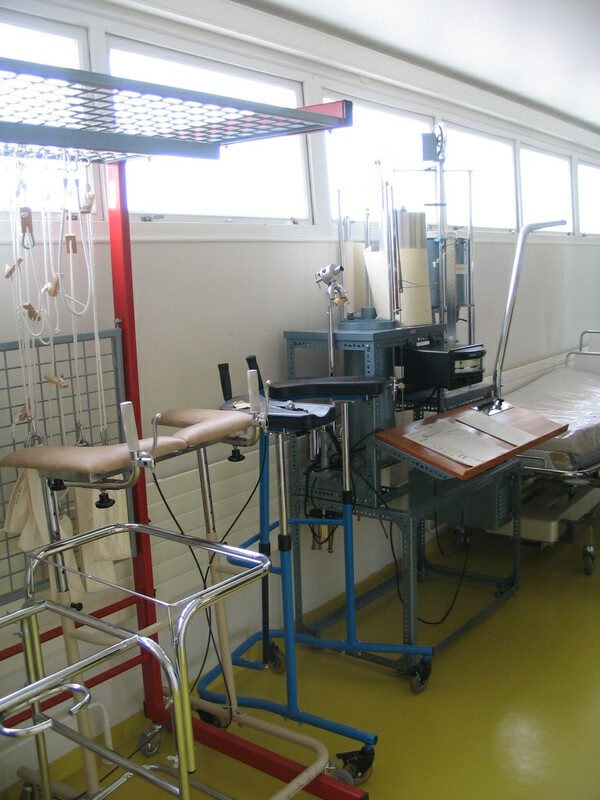 Vintage medical equipment, now possibly more suitable for a horror film. 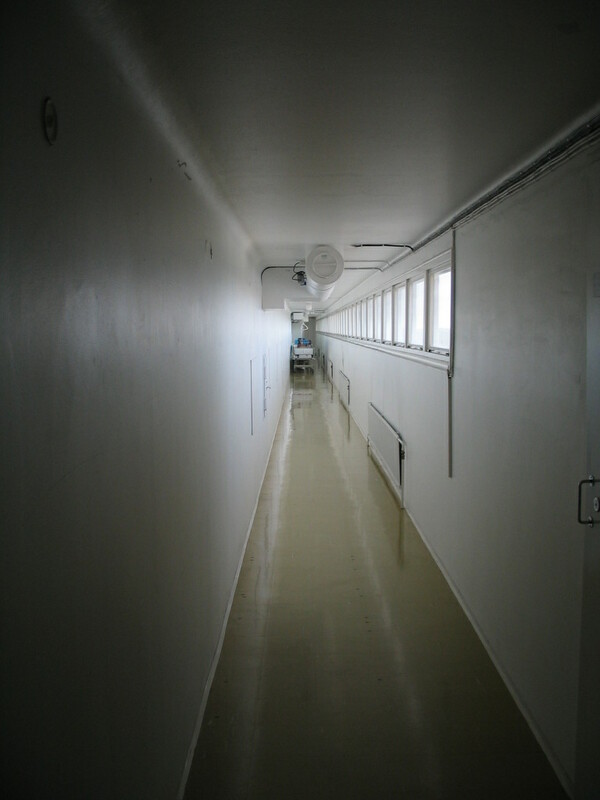 Also suitable for a horror film: this corridor. 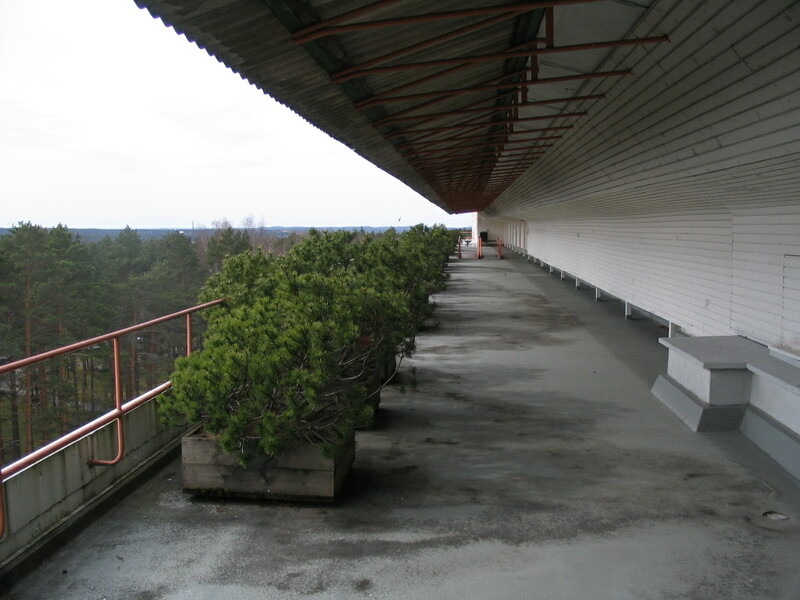 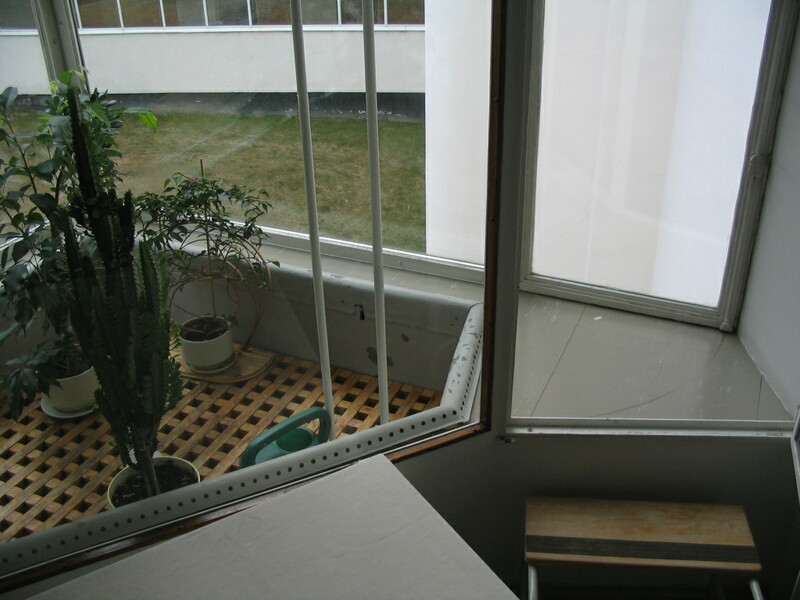 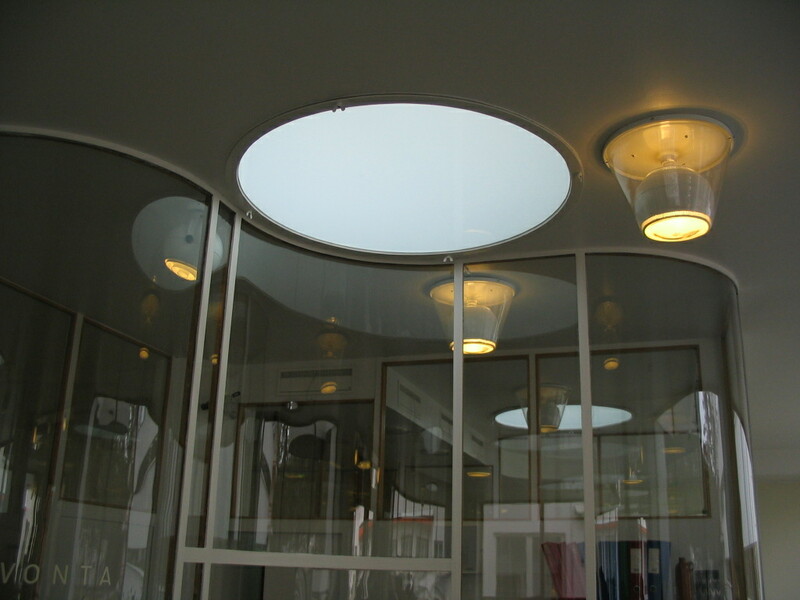 A balcony at the top of the building for patients to get fresh air. 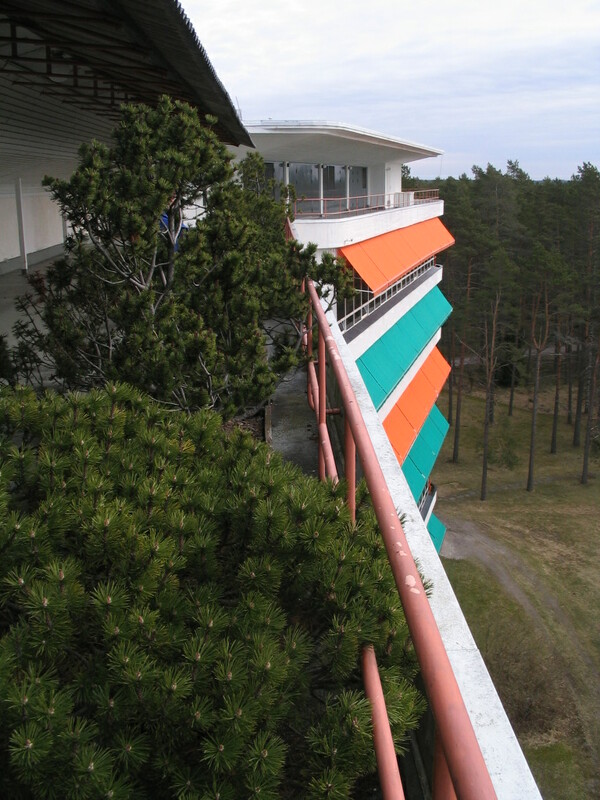 View toward the other end of the balcony. 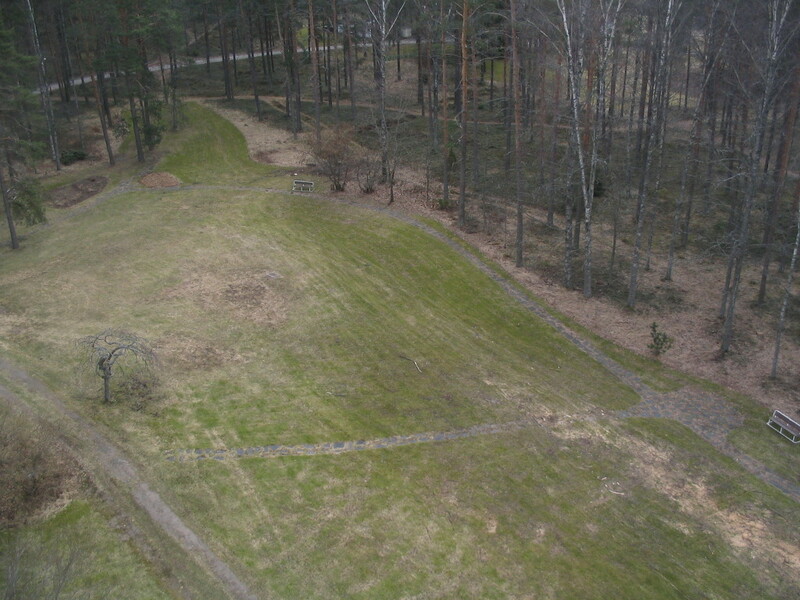 The grounds to the south of the building.